Bienenfeld, author of ‘Align For Life,’ specializes in structural integration. Put simply, those aches that one experiences might be tied to emotional issues and until those are examined, no amount of manual manipulation is going to make the pain go away, or let us live life as fully as we might like to. He uses the Heller method, which was developed by Joseph Heller, a scientist at the Jet Propulsion Laboratory in Pasadena, who studied humanistic psychology, including Rolfing. Working with a client, Bienenfeld moves different parts of the body, while also applying pressure. He asks the client to focus on breathing while he tries to loosen the rigidity that is stored in the body. Surprisingly, while focusing on the person’s breath, different memories surface, which Bienenfeld listens to and asks for the client’s introspection about the memory. Bienenfeld’s father, Mickey was a cantor and helped start Kehillat Israel on Sunset Boulevard in the early 1950s. 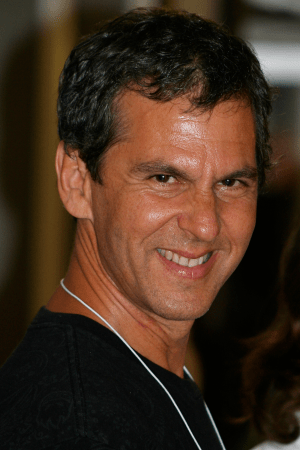 Growing up on the Westside, Bienenfeld attended University High and graduated from UC Santa Cruz in 1980 with an major that included anatomy and psychology. He then attended the Hellerwork Institute in Santa Monica, and for many years ran the Alternative Medical Center in West Los Angeles, which included acupuncture, homeopathic doctors, biofeedback, Rolfing and Hellerwork. Visit: www.danbienenfeld.com or call (310) 459-2140. Previous story What is Hellerwork Structural Integration… What’s in a theme?